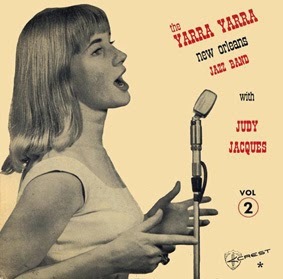 Judy Jacques has been recognised as one of Australia's most powerful and popular jazz singers since she started as a teenager singing gospel in the 1960s. During that period and for more than a decade, Judy was in great demand as an award winning television performer. This began with contracts with GTV9, doing shows such as I.M.T. and Bandstand to appearances on most commercial TV shows throughout Australia, including ABC radio and ABC TV. In 1975, after spending a year travelling in Europe, Judy decided to look for other ways in which to express her music. 'Jacques is one of the very few singers to emerge from the jazz/folk boom of the early '60's and define a new phase in her musical career in Australia'. Bruce Johnson The Oxford Companion to Australian Jazz. 1987.